For use of this rank in other countries, see Colonel. Colonel (Col) is a rank of the British Army and Royal Marines, ranking below brigadier, and above lieutenant colonel. British colonels are not usually field commanders; typically they serve as staff officers between field commands at battalion and brigade level. The insignia is two diamond-shaped pips (properly called "Bath Stars") below a crown. The crown has varied in the past with different monarchs; the current Queen's reign has used St Edward's Crown. The rank is equivalent to captain in the Royal Navy and group captain in the Royal Air Force. The rank of colonel was popularized by the tercios that were employed in the Spanish Army during the 16th and 17th centuries. General Gonzalo Fernández de Córdoba divided his troops in to coronelías (meaning "column of soldiers" from the Latin, columnella or "small column"). These units were led by a coronel. This command structure and its titles were soon adopted as colonello in early modern Italian and in Middle French as coronel. The rank title entered the English language from French in the mid-16th century and so the modern English pronunciation of the word is derived from the French variant. The use of the rank of colonel pre-dates the establishment of the United Kingdom. In the mid-17th century, the regiments of the New Model Army were commanded by colonels. The British Army has historically been organized around the regiment, with each regiment being raised, uniformed, and equipped either directly by the crown or by a nobleman. The colonels nominally commanding these regiments often had little to do with the regiment's actual activities, either because they contemporaneously served as general officers or because they were essentially mere financiers. By the end of 17th century in Great Britain, the "colonel of a regiment" was often a titled person who had been given Royal Assent to raise it for service and command it in battle. As such, he was required to cover all costs of the regiment's equipment, uniforms and wages as well select its officers. Until the late 18th century most British regiments were commonly known by the name of the colonelcy, for example Lord Churchill's Dragoons (1683–1685) or Elliot's Light Horse (1759–66). The Commissariat was responsible for the supply of rations and transport. It occasionally raised its own fighting units, such as "battoemen" (armed watermen and pioneers in North America). 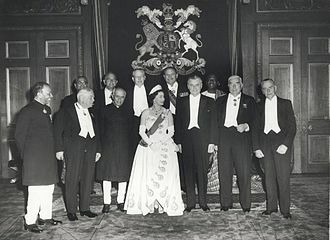 The reforms meant that the British government was now financially responsible for the pay, clothing and equipment of the troops in the service of the British Crown. Colonels were also no longer permitted to profit directly from the sale of officer commissions in their regiments. A lieutenant-colonel commanded the regiment in battle. By the beginning of the Napoleonic Wars, the title "colonel of the regiment" had become a sinecure appointment for distinguished generals and members of the royal family or British nobility. Despite an individual only being permitted to hold one colonelcy, it was a profitable position as they were in financial charge of their regiment's allowance from the government. This meant they could hope to make a profit on the funds allocated for equipment, supplies and uniforms. As generals were mostly on half-pay, a colonelcy was a method of providing them with extra income. Many colonels spent large sums of their own money on their regiments. By the end of the 19th century, the reorganisation of the British Army through the Cardwell and Childers Reforms had established a colonel as a professional rank with senior administrative responsibilities in regiment or brigade. Some of the historic duties associated with the title Colonel of the Regiment (to distinguish it from the military rank of colonel) continue to be used in the modern British Army. 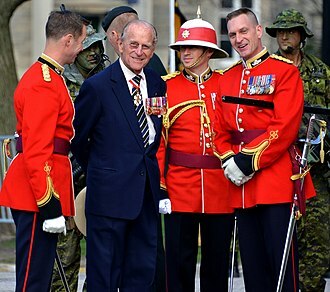 The ceremonial position is often conferred on retired general officers, brigadiers or colonels who have a close link to a particular regiment. Non-military personnel, usually for positions within the Army Reserve, may also be appointed to the ceremonial position. When attending functions as "Colonel of the Regiment", the titleholder wears the regimental uniform with rank insignia of (full) colonel, regardless of their official rank. A member of the Royal Family is known as a Royal Colonel. A Colonel of the Regiment is expected to work closely with a regiment and its regimental association. Another title employed by the British Army is "Colonel-in-Chief" which is distinct from the ceremonial title "Colonel of the Regiment". The position is usually held by a member of the Royal Family who acts as a patron to the unit, as Princess Margaret, Countess of Snowdon did for the Bermuda Regiment. Although they do not have an operational role, they are kept informed of all important activities undertaken by the regiment and pay occasional visits to its operational units. The chief purpose of a colonel-in-chief is to maintain a direct link between a given regiment and the British Royal Family. The Royal Navy once conveyed the honorific title "Colonel of Marines" to post-captains as a reward for highly distinguished service. It was a salaried sinecure position with no additional obligations outside a captain's normal naval duties. He would lose this title and its additional pay upon reaching flag rank. Horatio Nelson was given such a colonelcy in 1795, two years before he reached flag rank. From 1 April 1918 to 31 July 1919, the Royal Air Force maintained the rank of colonel. During this period, groups were often commanded by RAF colonels. The rank of colonel was superseded by that of group captain on 1 August 1919. When badges of rank were introduced for field officers in 1810, full colonels were designated with a crown and star worn on shoulder epaulettes. In 1855, after the Crimean War, new dress regulations were published which specified changes where rank would be worn. Thereafter full colonels wore half-inch regimental pattern laces on upper and lower collar, with one crown and one star. In 1880 the insignia was moved to the shoulder boards when in full dress, and full colonels were given an extra star. The pattern of a crown above two stars has remained the identifying insignia from 1880 to the present day although it has variously been worn on the shoulder, cuff and chest. The insignia is two diamond-shaped pips (properly called "Bath Stars") below a crown. Gorget patches, colloquially known as red tabs, with crimson lace and a brass button are also worn. ^ "How Did "Colonel" Become "Ker-nul"? - Teachinghistory.org". 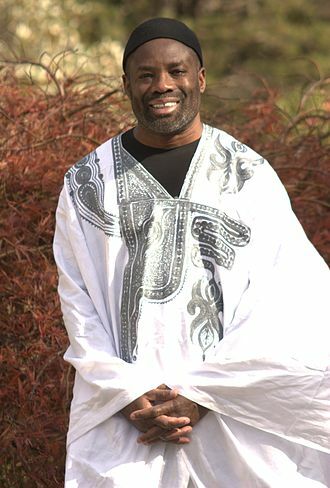 teachinghistory.org. Retrieved 26 March 2018. ^ Mallinson 2009, p. 40. ^ Mallinson 2009, p. 43. ^ Le Mesurier, Havilland (1801). The British Commissary: in two parts. A system for the British Commissariat on Foreign Service. C Roworth. 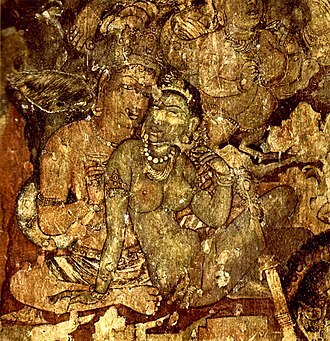 p. 50. ^ Smith, D. G.; Smith, Digby George (15 June 1977). "The British Army 1965-80". Bloomsbury USA. Retrieved 26 March 2018 – via Google Books. The name War Office is given to the former home of the department, the War Office building located at the junction of Horse Guards Avenue and Whitehall in central London. During August 2013 it was announced that the former War Office building would be sold on the open market. The War Office developed from the Council of War, an ad hoc grouping of the King and his military commanders which managed the Kingdom of Englands frequent wars. It was equivalent to the Admiralty, responsible for the Royal Navy, and the Air Ministry, the department had several London homes until it settled at Horse Guards in Whitehall during 1722, where it was to remain until 1858. The first War Office Secretary at War is usually said to have been William Blathwayt and it was, however, a fairly minor government job which dealt with the minutiae of administration rather than grand strategy. Issues of strategic policy during wartime were managed by the Northern and Southern Departments, from 1704 to 1855, the job of Secretary was possessed by a minister of the second rank, although he was occasionally part of the Cabinet. Many of his responsibilities were transferred to the Secretary of State for War after the creation of more senior post during 1794. The job of Secretary at War was merged with that of the Secretary of State for War during 1855, during 1855 the Board of Ordnance was abolished as a result of its perceived poor performance during the Crimean War. This powerful independent body, dating from the 15th century, had directed by the Master-General of the Ordnance. The disastrous campaigns of the Crimean War resulted in the consolidation of all duties during 1855 as subordinate to the Secretary of State for War. He was not, solely responsible for the Army and this was reduced in theory by the reforms introduced by Edward Cardwell during 1870, which subordinated the Commander-in-Chief to the Secretary for War. His resistance to reform caused military efficiency to lag well behind that of Britains rivals, the management of the War Office was hampered by persistent disputes between the civilian and military parts of the organisation. The government of H. H. Asquith attempted to resolve this during the First World War by appointing Lord Kitchener as Secretary for War, making him the first, this was thought unsatisfactory, during his tenure, the Imperial General Staff was virtually dismantled. Its role was replaced effectively by the Committee of Imperial Defence, the War Office decreased greatly in importance after the First World War, a fact illustrated by the drastic reductions of its staff numbers during the inter-war period. On 1 April 1920, it employed 7,434 civilian staff and its responsibilities and funding were reduced. During 1936, the government of Stanley Baldwin appointed a Minister for Co-ordination of Defence, when Winston Churchill became Prime Minister during 1940, he bypassed the War Office altogether and appointed himself Minister of Defence. 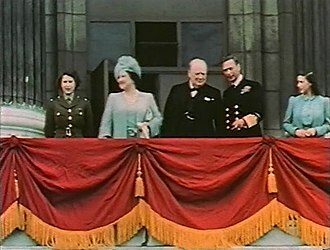 Clement Attlee continued this arrangement when he came to power during 1945, during 1964, the present form of the Ministry of Defence was established, unifying the War Office and Air Ministry. Vice Admiral Horatio Nelson, 1st Viscount Nelson, 1st Duke of Bronté KB was a British flag officer in the Royal Navy. He was wounded several times in combat, losing most of one arm in the attempt to conquer Santa Cruz de Tenerife. He was shot and killed during his victory at the Battle of Trafalgar in 1805. 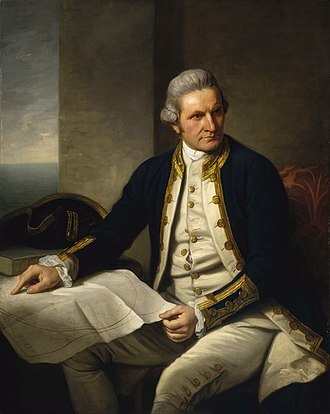 Nelson was born into a moderately prosperous Norfolk family and joined the navy through the influence of his uncle, Maurice Suckling and he rose rapidly through the ranks and served with leading naval commanders of the period before obtaining his own command in 1778. He developed a reputation in the service through his valour and firm grasp of tactics but suffered periods of illness. 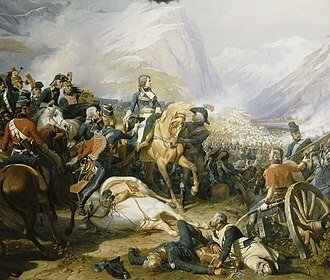 The outbreak of the French Revolutionary Wars allowed Nelson to return to service and he fought in several minor engagements off Toulon and was important in the capture of Corsica and subsequent diplomatic duties with the Italian states. In 1797, he distinguished himself while in command of HMS Captain at the Battle of Cape St Vincent. The following year, he won a victory over the French at the Battle of the Nile. In 1801, he was dispatched to the Baltic and won another victory and he subsequently commanded the blockade of the French and Spanish fleets at Toulon and, after their escape, chased them to the West Indies and back but failed to bring them to battle. After a brief return to England, he took over the Cádiz blockade in 1805, on 21 October 1805, the Franco-Spanish fleet came out of port, and Nelsons fleet engaged them at the Battle of Trafalgar. The battle was Britains greatest naval victory, but during the action Nelson and his body was brought back to England where he was accorded a state funeral. Nelsons death at Trafalgar secured his position as one of Britains most heroic figures, numerous monuments, including Nelsons Column in Trafalgar Square and the Nelson Monument in Edinburgh, have been created in his memory and his legacy remains highly influential. 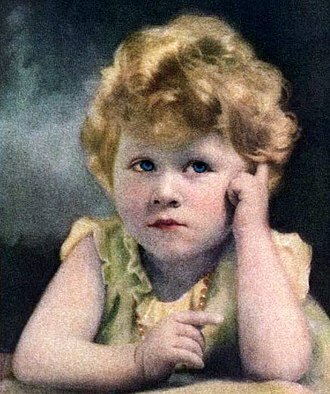 Horatio Nelson was born on 29 September 1758 in a rectory in Burnham Thorpe, England and he was named after his godfather Horatio Walpole 2nd Baron Walpole, of Wolterton. The Board of Ordnance was a British government body. Established in the Tudor period, it had its headquarters in the Tower of London, the Board maintained and directed the Artillery and Engineer corps, which it founded in the eighteenth century. By the nineteenth century, the Board of Ordnance was second in only to HM Treasury among government departments. 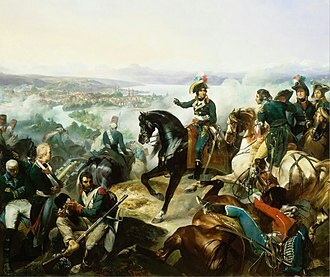 The Board lasted until 1855, at which point it was disbanded, the introduction of gunpowder to Europe led to innovations in offensive weapons, such as cannon, and defences, such as fortifications. From the 1320s a member of the Royal Household, the Keeper of the Privy Wardrobe in the Tower of London, became responsible for the procurement, storage. His office and main arsenal were located in the White Tower and this Privy Wardrobe in the Tower grew, both in size and significance, after the start of the Hundred Years War. In the following century, the influence of the Privy Wardrobe and its staff receded, a distinct Office of Ordnance began to establish itself at the Tower, staffed in the 1460s by a Master, a Clerk and a Yeoman. In the 1540s, under Henry VIII, the Ordnance Office was expanded, new officers were appointed and their principal duties clarified. In 1671, the Ordnance Office took over the work of the Office of Armoury at the Tower, at this time the Ordnance Office began to take on oversight of the nations forts and fortifications. In 1683, by now known as the Board of Ordnance. These detailed Instructions continued, with little change, to provide the working framework for the Board. 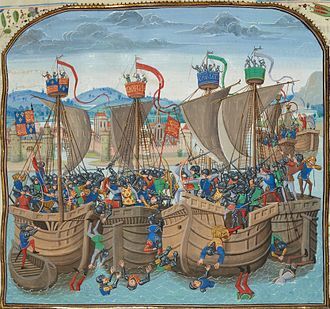 From the mid-16th century onwards, the Board of Ordnance had six principal officers, merbury was present at the Siege of Harfleur and at the Battle of Agincourt. By 1450 Master of Ordnance was a permanent appointment, firmly based at the Tower of London, until 1544 the Master had generally managed the day-to-day activities of the Ordnance Office. Thereafter the Lieutenant had day-to-day oversight of the Boards activities, while Master had more the role of a statesman, from the seventeenth century through till 1828 the Master-General routinely had a seat in Cabinet, and thus served as de facto principal military adviser to the government. A tercio or tercio español was a Spanish infantry organization during the time that Habsburg Spain dominated Europe in the Early Modern era. The tercio was a unit with command of up to 3000 soldiers, subdivided originally into ten, twelve compañías, made up of pikemen, swordsmen. These companies were deployed in battle and were subdivided into units of thirty soldiers. These smaller units could be deployed individually or brought together to form what were sometimes called Spanish squares and these powerful infantry squares were much used by other European powers, especially the Imperial Army of the Holy Roman Empire. Moreover, the tercios were the first to efficiently mix pikes, the use of massed pikes by Spanish armies began in the War of Granada. The conflicts at the end of the 15th century and early 16th century evolved into a unique combination of combined arms centered around armored infantry. To counter the French heavy cavalry, a colonelcy could theoretically have up to 6,000 men, armies using tercio companies of up to 300 generally intended to field them in brigades of at least three, with one in the front and two behind. The rearward formations echeloned off on either side so that a called a colunella. The Spanish tercios rarely had more than 1500 men and they were called tercios, meaning thirds, because they were, in theory, made up originally of 1/3 pikemen, 1/3 swordsmen, and 1/3 of firearms. In time, the number of swordsmen was reduced, the only tercio to have 3,000 men was the Tercio de Galeras or the Galleys Tercio, dedicated only for deployment in galleys and galleons and specialized in naval warfare and amphibious operations. It was assigned in 1537 by royal assent to the Spanish fleets in the Mediterranean and is the ancestor of todays Spanish Navy Marines, the arquebusiers were usually split up in several mobile groups called sleeves and deployed relative to the cuadro, typically with one manga at each corner. Groups of tercios were typically arrayed in dragon-toothed formation and this enabled enfilade lines of fire and somewhat defiladed the army units themselves. From their inception, tercio formations were meant to co-ordinate their field operations with cavalry, mirroring military organization today, the Tercio was led by a Maestre de Campo appointed by the King as the commanding officer and guarded by eight halberdiers. The Royal Dragoons was a mounted infantry and a heavy cavalry regiment of the British Army. The regiment was formed in 1661 as the Tangier Horse and it served for three centuries and was in action during the First and the Second World Wars. It was amalgamated with the Royal Horse Guards to form The Blues and they were constituted in 1672 and, after Jones was killed during the siege of Maastricht in 1673 while serving with the Duke of Monmouth, command passed to the Duke. The regiment was ranked as the 1st Dragoons, the oldest cavalry regiment of the line, the regiment was recalled to England in 1678 with the expectation of fighting in a war against France. In early 1679, it was disbanded and reformed in June of that year as Gerards Regiment of Horse, with most of the officers and men. The regiment was disbanded in late 1679 and three of its captains, John Coy, Thomas Langston and Charles Nedby, along with their troopers, when they returned in 1683, they joined what became a new permanent regiment of the Royal Dragoons. On their return to England in 1683, the three troops were joined with three newly raised troops and titled The Kings Own Royal Regiment of Dragoons, named for Charles II, in 1690, the regiment was renamed as simply The Royal Regiment of Dragoons. 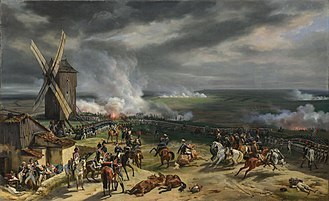 It fought at the Battle of the Boyne in July 1690, the regiment fought at the Battle of Beaumont in April 1794 and the Battle of Willems in May 1794 during the Flanders Campaign. The regiment took part in the charge of the Union Brigade under the command of Major-General William Ponsonby at the Battle of Waterloo in June 1815 during the Hundred Days Campaign. Captain Alexander Kennedy Clark, an officer in the regiment, captured the French Imperial Eagle of the 105th Line Infantry Regiment during the battle, the regiment next took part in the charge of the heavy brigade at the Battle of Balaclava in October 1854 during the Crimean War. Having been re-titled the 1st Dragoons in 1877, the regiment saw action at the Battle of Abu Klea in January 1885 during the Mahdist War. In January 1900, during the Second Boer War, the regiment was part of a force that set out to discover the western flank of the Boer lines and it was able to ambush a column of about 200 Boers near Acton Homes and successfully trapped about 40 of them. It took part in the First Battle of Ypres in October 1914, the Second Battle of Ypres in April 1915, the Battle of Loos in September 1915, the regiment retitled as the 1st The Royal Dragoons in 1921. 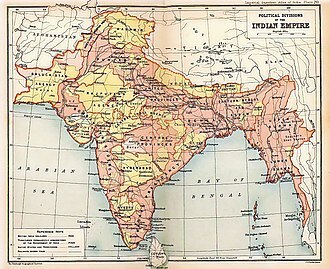 It was deployed to Egypt in 1927, to Secunderabad in India in 1929, the regiment mechanised shortly after the outbreak of the Second World War and was transferred to the Royal Armoured Corps in 1940. It became the Reconnaissance Regiment for the 10th Armoured Division in September 1942, the regiment took part in the advance to the River Elbe and, after taking 10,000 enemy prisoners, liberated Copenhagen in May 1945. The regiment moved to Eutin in Schleswig-Holstein in November 1945 and to Dale Barracks in Chester in November 1950 and it deployed troops to Egypt in February 1951 and moved to Combermere Barracks in Wesendorf in May 1954 and to Harewood Barracks in Herford in August 1957. A Scottish regiment is any regiment that at some time in its history has or had a name that referred to Scotland or some part and adopted items of Scottish dress. Their Scottishness is no longer due to recruitment in Scotland nor any proportion of members of Scottish ancestry. Traditionally, Scottish regiments cultivate a reputation of exceptional fierceness in combat and are often given romantic portrayals in popular media, within Scotland, regiments of the Scottish Lowlands did not adopt as strong a Scottish character until the late Victorian Era. These generally predate the more widely known Highland regiments, the senior Lowland regiment was the The Royal Scots which dates from 1633. The Royal Scots Fusiliers and The Kings Own Scottish Borderers were subsequently raised in 1678 and 1689 respectively, throughout the 17th, 18th and most of the 19th centuries these Scottish regiments served widely and with distinction. They did not however differ significantly in appearance or public perception from the bulk of the infantry of the British Army. In 1881 the introduction of the Cardwell system of reforms provided the opportunity to adopt a form of Scottish dress for the Lowland regiments. Comprising doublets and tartan trews this gave the Lowlanders a distinctive identity, separate from their English, Irish, at the same time, the absence of kilts and the substitution of Kilmarnock bonnets for feather bonnets prevented confusion between Lowlanders and their Highland counterparts. The Cameronians was created at the time from the merging of two existing numbered regiments. The original Highland regiments were raised in the 18th century with the object of recruiting rank, the major 20th century exceptions to this rule were the First and Second World Wars, when many Highland men joined up. However, due to a pressing need for personnel in North America during the Seven Years War, by the Victorian era the loyalty of the Highlanders was no longer suspect. Queen Victoria had a personal interest in things Scottish, in relating to the Highlands. The New Model Army of England was formed in 1645 by the Parliamentarians in the English Civil War, and was disbanded in 1660 after the Restoration. Its soldiers became full-time professionals, rather than part-time militia, to establish a professional officer corps, the armys leaders were prohibited from having seats in either the House of Lords or House of Commons. 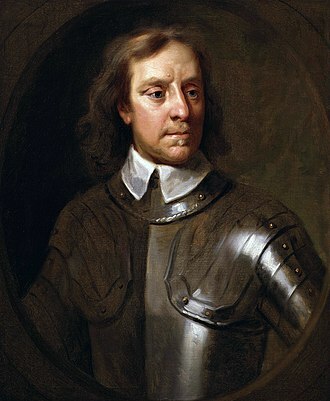 This was to encourage their separation from the political or religious factions among the Parliamentarians, many of its common soldiers therefore held Dissenting or radical views unique among English armies. Ultimately, the Armys Generals could rely both on the Armys internal discipline and its religious zeal and innate support for the Good Old Cause to maintain an essentially dictatorial rule. The New Model Army was formed as a result of dissatisfaction among Parliamentarians with the conduct of the Civil War in 1644, there was increasing dissension among Parliaments generals in the field. Parliament suspected that many of its officers, who were mainly Presbyterians, were inclined to favour peace with King Charles. The Earl of Manchester was one of the prominent members favouring peace and Cromwell clashed publicly over this issue several times. Parliaments senior commander, the Earl of Essex, was suspected of lack of determination and was on poor terms with his subordinates. 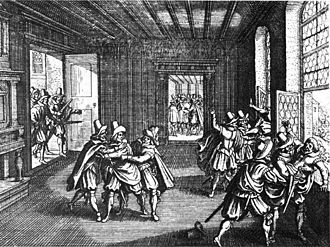 The tensions among the Parliamentarian generals became a public argument after the Second Battle of Newbury. Some of them believed that King Charless army had escaped encirclement after the battle through inaction on the part of some commanders. 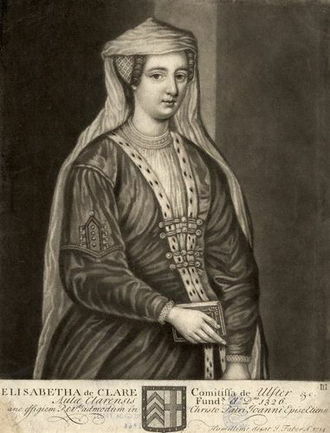 In response, Parliament directed the Committee of Both Kingdoms, the body that oversaw the conduct of the War. On 19 December, the House of Commons passed the Self-denying Ordinance, originally a separate matter from the establishment of the New Model Army, it soon became intimately linked with it. 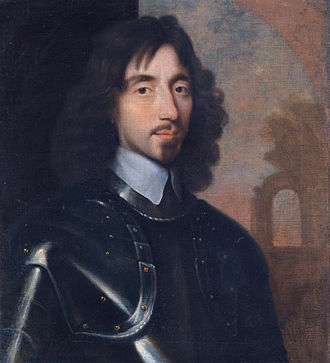 Once the Self-denying Ordinance became Law, the Earls of Manchester and Essex, on 6 January 1645, the Committee of Both Kingdoms established the New Model Army, appointing Sir Thomas Fairfax as its Captain-General and Sir Philip Skippon as Sergeant-Major General of the Foot. The Army Reserve is the active-duty volunteer reserve force and integrated element of the British Army. Most Volunteer infantry units had unique identities, but lost these in the reorganisation, only one infantry unit, the London Regiment, has maintained a separate identity. Reservists in the past served as constables or bailiffs, even holding positions of civic duty as overseer of their parish, the more modern Yeomen of the 18th century were cavalry-based units, which were often used to suppress riots. Several units that are now part of the Army Reserve bear the title militia, after the Second World War, for example, the Army Reserve - or Territorial Army as it was known - was not demobilised until 1947. All Army Reserve personnel have their jobs protected to a limited extent by law should they be compulsorily mobilised. There is, however, no protection against discrimination in employment for membership of the Army Reserve in the normal course of events. As part of the process, remaining units of militia were converted to the Special Reserve. The TF was formed on 1 April 1908 and contained fourteen infantry divisions and it had an overall strength of approximately 269,000. The individual units that made up each division or brigade were administered by County Associations, the other members of the association consisted of military members, representative members and co-opted members. Associations took over any property vested in the volunteers or yeomanry under their administration, each regiment or battalion had a Regular Army officer attached as full-time adjutant. In August 1914, after the outbreak of the First World War, territorial units were given the option of serving in France and, by 25 August, in excess of seventy battalions had volunteered. This question over the availability of territorial divisions for service was one of Lord Kitcheners motivations for raising the New Army separately. The first fully Territorial division to join the fighting on the Western Front was the 46th Division in March 1915, with divisions serving in Gallipoli and elsewhere. The Royal Bermuda Regiment, formerly the Bermuda Regiment, is the home defence unit of the British Overseas Territory of Bermuda. The original Bermuda Militia had existed from 1612 to 1815, during the subsequent decades, short-lived militias were raised within the Bermuda Garrison without a Militia Act or any financial contribution from the local parliament. Georges Harbour that the government authorised the creation of three units. Of these, only two were raised, the Bermuda Volunteer Rifle Corps and the Bermuda Militia Artillery were raised in 1894 and 1895, respectively, in order to allow the Regular Army component of the garrison to be reduced. This was done primarily as a measure, though the regular units withdrawn were required for the build-up of what would become the British Expeditionary Force. Both units served through the two wars, sending contingents to serve overseas while shouldering their responsibilities for the defence of Bermuda. 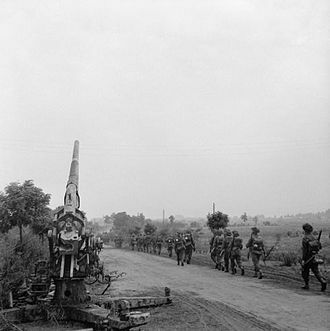 In 1953, when the artillery batteries were taken out of use. This left the Colony wastefully maintaining two separate infantry units, after closure of the Royal Navys dockyard commenced in 1951, the military garrison, which had existed primarily to protect the Royal Navy base, was closed. The last regular unit was withdrawn in 1957, and the two Bermudian territorials ceased to have any military role under Imperial defence planning. Although the colonial government had formed the two units at the behest of and under pressure from the British government, it chose to continue maintaining them entirely at its own expense. 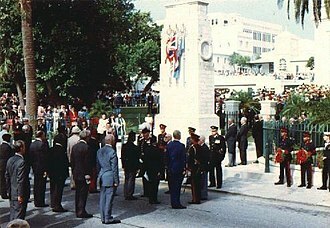 The amalgamation of the forces took place on 1 September 1965, the new Bermuda Regiments stand of colours was presented by Princess Margaret. Princess Margaret presented a second stand of colours to replace the first in 1990, the Royal Bermuda Regiment is not entitled to inherit the battle honours of the units amalgamated into it, so they are not displayed on its colours and are rarely mentioned. The battle honours it inherits from the BVRC, all from World War I, are Ypres 1915, Neuve Chapelle, Somme 1916, Ypres 1917, Hindenburg Line, Messines 1917 and this was not the first time the unit had been disbanded. Major General John Tupper His Majesty's Marine Forces. Royal Marines parade in the streets of Chania, Cretan State, in spring 1897, following British occupation during the Greco-Turkish War. British Commandos in action during Operation Archery, Norway. Deployment of disembarked Tercios, 1583. Schematic battle formation of a Tercio around 1600. 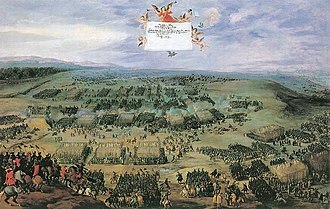 Tercio companies advancing during the battle of Nieuwpoort 1600. Ammunition box with Board of Ordnance shield, initials and broad arrow. Arms of the Board of Ordnance at the Tower of London, New Armouries. The Grand Store, Woolwich, in 1841: cannons and shot were routinely stored in the open, while gun carriages and other perishable items were kept indoors. 1848 Woodcut of HMD Bermuda, Ireland Island, Bermuda. Remembrance Day parade, at the Cenotaph, in the City of Hamilton, 1990. HE The Governor, Major-General Sir Desmond Langley inspects war veterans, and is speaking with former Second-in-Command of the Royal Bermuda Regiment Major Donald Henry "Bob" Burns, MC. The badge of the Royal Bermuda Regiment (bottom) draws elements from those of the BMA (Royal Artillery, second from left) and the BVRC (second from right). The badge at the left is that of the Royal Lincolnshire Regiment, affiliated to the BVRC, and that at the right belongs to the Royal Anglian Regiment, its successor. Captain Horatio Nelson, painted by John Francis Rigaud in 1781, with Fort San Juan - the scene of his most notable achievement up to that point — in the background. The painting itself was begun and nearly finished prior to the battle, when Nelson held the rank of lieutenant; when Nelson returned, the artist added the new captain's gold-braided sleeves. The Eagle of the French 45th Ligne captured by the Royal Scots Greys, during the Battle of Waterloo. Depiction of a Highland soldier in 1801. Depiction of The Thin Red Line at the Battle of Balaclava. Highland regiments played a conspicuous role in conflicts throughout the Victorian era. Members of the Highland Band of the Royal Regiment of Scotland performing at Gibraltar in 2013. Battle of Solebay by Willem van de Velde the Younger. Churchill here learned the uncertainties and hazards of naval warfare. Sarah Churchill, Duchess of Marlborough. Attributed to Godfrey Kneller. The Marlborough family c. 1694 by John Closterman. On the Duke's left are Elizabeth, Mary, the Duchess, Henrietta, Anne and John. Start of the parchment roll of the Reform Act 1832, with the clerk's record of the royal assent of King William IV written above the bill, reading in full Le Roy le Veult. Soit baillé aux Seigneurs. A cette Bille avecque des amendemens les Seigneurs sont assentuz. 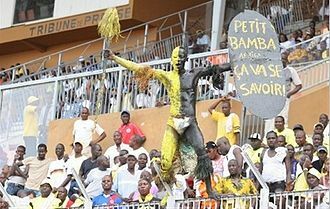 A ces Amendemens les Communes sont assentuz. 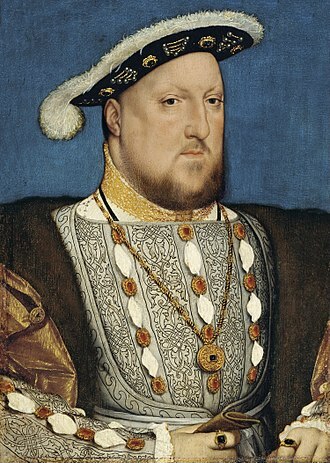 Henry VIII introduced a new method of granting royal assent. A motorcycle and infantry of the 2nd Battalion, Glasgow Highlanders, 46th Infantry Brigade, 15th (Scottish) Infantry Division, advance along a lane near Caumont, 30 July 1944. View of the Old War Office Building from Whitehall. The former War Office building facing Horse Guards Avenue. A Royal Navy captain's rank insignia (left) during divisions conducted at HMNB Clyde in January 2013.